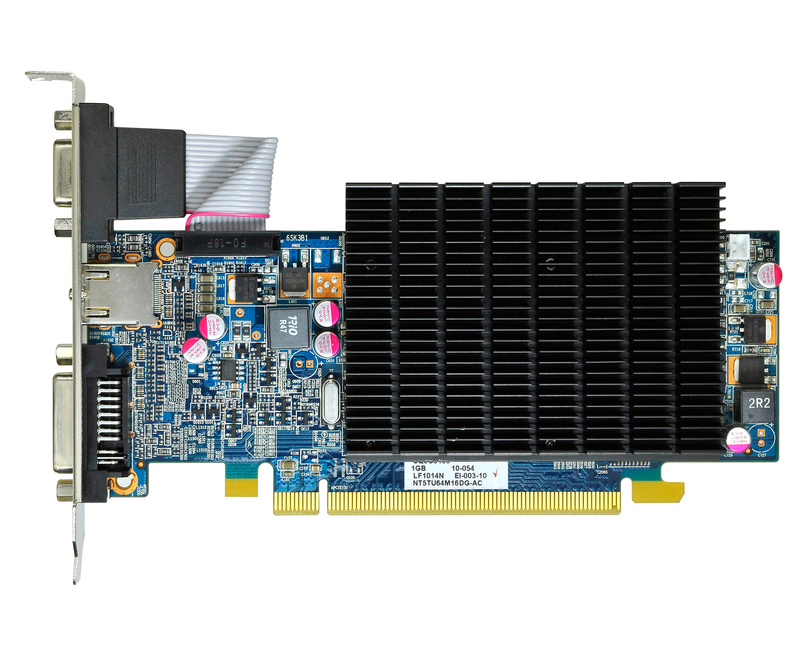 Low profile and Low Power Consumption - Low-profile, low power (consumes less than 45 watts under full load) perfect for small form factor PCs. 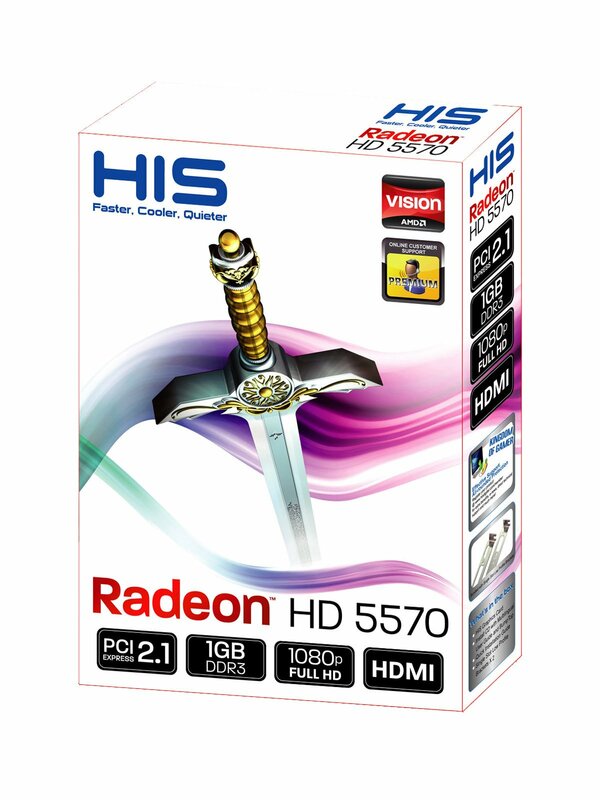 ATI RadeonTM HD 5500 Series graphics processors offer the most features and functionality in its class. With ATI RadeonTM HD 5500 Series graphics processors you get a multi-purpose graphics solution for maximum versatility. 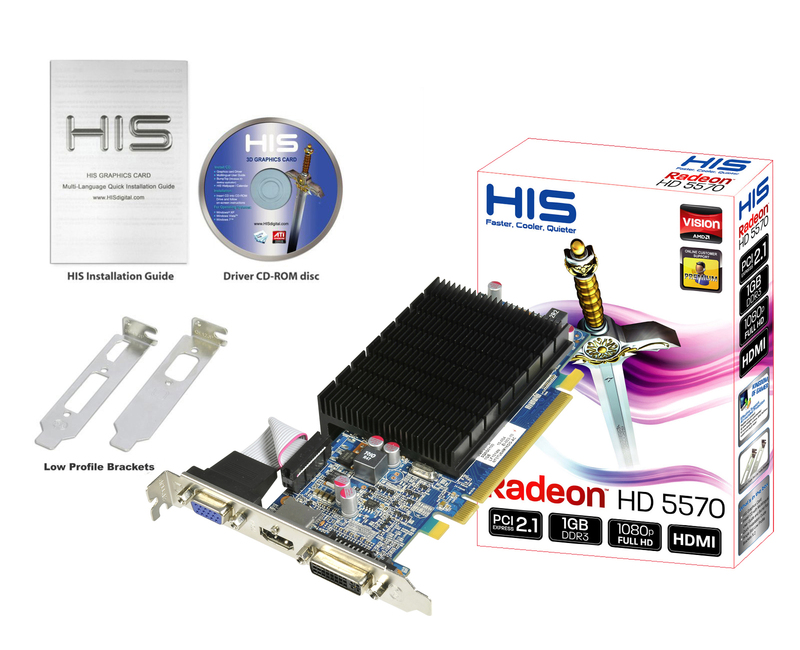 Enjoy all the benefits of Microsoft Windows 7® with ATI RadeonTM HD 5500 Series GPUs which are designed to provide an exceptional experience for the upcoming operating system. 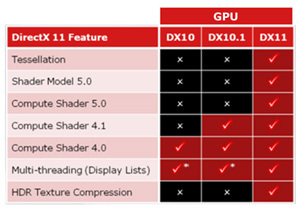 Features AMD’s robust ATI Catalyst software, and is the first graphics generation with full support for DirectX® 11, Enhancing the Windows®7 experience. I purchased two of these cards for my Dell C521 and E521. 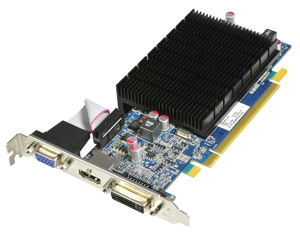 I was running HD3450 and HD3650. I couldn't believe how much my Windows Performance Index increased. The C521 jumped from 3.9 to 6.8 on Graphics and the E521 from 5.0 to 6.8. Now I am only limited ny my Disc data transfer rate on both machines. One is 5.6 and the other is 5.9. I am running Windows 7 (64bit) on both machines with AMD dual core processors Running at 3Ghz. Both machines have 4gb of ram. As if this improvement wasn't enough, I now can pass 7.1 to my Onkyo receivers. Yes, I am happy with my purchase.